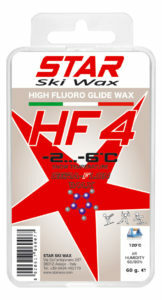 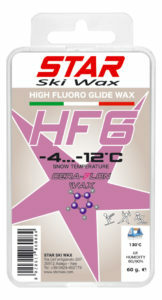 The abbreviation HF means HIGH FLUOR and identifies the products in the STAR CERA -FLON WAX line with a high content of fluoro-ceramics. 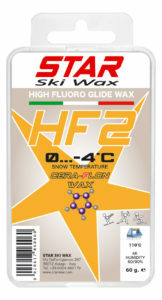 Although they can be used on all kinds of snow these products give maximum efficiency in new snow and with middle-high humidity. 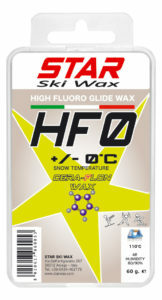 If used alone HF Line ensures excellent performance, when covered by the products of the line F 100% fluoro they become ideal for all competitions.